In this baseball batting cages strategy video, we answer the reader question above. Training timing, plate discipline, and pitch recognition. PLEASE NOTE: this is a complex issue, and to do the subject any justice, a 30-minute video and 4,000+ word post would suffice. However, I don’t have that time after adding a newly minted baby girl to our family. So, I urge coaches to PLEASE contribute your comments at the end of this post, in the “Comments” section, of any other factors and/or fixes that I may have missed you think contribute to a successful transition from baseball batting cages (including softball coaches) to game at-bats. Many THANKS in advance! CLICK HERE to read this HPL post on what every coach needs to know about giving feedback to hitters. Highlighting something they did good, again. I call this tactic the constructive feedback sandwich. Coach Tony LaRussa mentions, in his book One Last Strike , the ‘Pat & Pop’ Method of giving feedback to his players. The ‘Pat’ is the pat on the back (what they’re doing right), and the ‘Pop’ is the pop in the mouth (calling attention to the mistakes they made). Men’s Notre Dame basketball Coach Mike Brey also mentions the WORST thing you can do is have a player looking at the “bench” after every play…or the dugout…or down the third base line. Legendary baseball coach at Fresno State, Bob Bennett, who was my coach for three years, would sit in his chair at the clubhouse end of the dugout during games, with one leg crossed over the other, taking notes the whole game. He would rarely offer mechanical changes to players. He just let us compete. During games, Coach Bennett focused his time on making situational game decisions. It was at practice the notes he took during games – of the mistakes we made – would come to life. CLICK HERE for an audio interview I did with Coach Bennett over lunch. Are you over-coaching (‘coaching EVERY dribble), and/or giving instruction during games? Training MUST fit the sport’s objective. During a baseball or softball game, a pitch is thrown once every 10-20 seconds. A hitter may see THREE strikes in an at-bat, and may accumulate FOUR at-bats per game, so they may see TWELVE good pitches to swing at per game. True, not all strikes are in the strike zone at the lower levels, but my point is, swing opportunities are lower in games. So, am I saying to ration out swings to hitters at practice? I’m suggesting a change in coaching paradigm. What I’m saying is, swings in baseball batting cages MUST be trained with focused quality, not with unfocused quantity. After each five swing round, I ask my hitters these three questions…and it’s rare that I get a hitter regressing after 3-5 rounds of focused quality hacks. Training MUST be more challenging (and frustrating), than game at-bats. In games, hitters MUST NOT worry about mechanics, just make sure they’re swinging at strikes and getting on-time. Competing. Mechanics are for working on at practice or outside of game AB’s. Free swinging batting practice, although fun as heck, does NOTHING for producing quality game at-bats. What mechanics are considered effective versus ineffective? CLICK HERE for a post I did answering that, in addition to how to get hitters buying into this system. What’s an example of a baseball batting cages drill that is ineffective training for game at-bats? 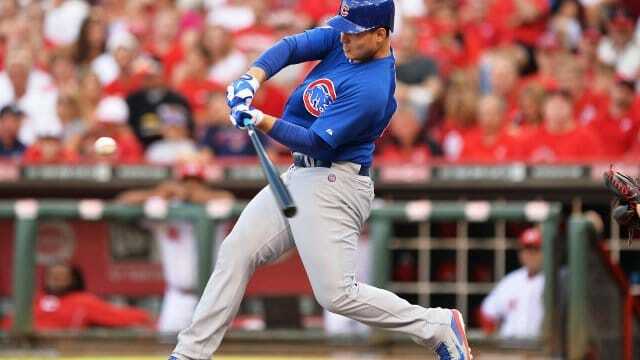 Because a hitter NEVER has to swing like this in a game! Please go revisit the definition of the Principle of Specificity above. The coaching rebuttal to the Rapid Fire Soft Toss Drill is, “But we’re working on quick hands”. Okay, so if the objective of a pitcher was to throw three balls one after the other in quick succession, then rapid fire soft toss would work. Pitchers throw one pitch every 10-20 seconds. Not three pitches every 10-20 seconds. Game swings are NOT about quick hands. They’re about timing. One of the pitcher’s objective is to disrupt this. If a hitter is behind…they’re late…and THEIR TIMING IS OFF!! In other words, it may not be a mechanical issue. Sure, their hands or bat speed may be slow because of something like bat drag, but I’m here to tell you that the Rapid Fire Soft Toss Drill WILL NEVER help bat drag. This coach would be throwing gasoline on a fire, mechanically. This is why fixing ineffective hitting mechanics add more reaction time to a hitter, because when a hitter moves better, they perform better. Effectiveness is doing the right things, and efficiency is doing those things right. A hitter’s mechanics may be clean, but NOT swinging at strikes and NOT being on time WILL cause a mechanical breakdown…no matter how clean the mechanics. In baseball batting cages are you promoting focused quality OR unfocused quantity swings? The post above is more advanced and is what I learned from Fresno State head baseball coach Mike Batesole my senior year in 2003. Btw, he was the head coach at Fresno State when the Bulldogs won the College World Series in 2008. However, I recommend the strategy mentioned in the Matt Holliday link to the college level on up. High School coaches can experiment with it, typically when facing higher functioning pitchers. The challenge with it is that most pitchers at the lower levels aren’t as skilled at consistently placing pitches where they want them. So, my recommendation for the lower levels is to focus on whether they swinging at strikes or not. Make it simple. Talk about the strike zone. What’s a good pitch to hit and what is not. In baseball batting cages are you training timing, plate discipline, and pitch recognition? Coaches, PLEASE contribute anything I may have missed in regard to factors and/or fixes you feel contribute to a successful transition from baseball batting cages (including softball) to game at-bats. Again, MANY thanks in advance! Great topic Joey. The first thing your reader has to get straight on is that a cage is an unrealistic place to evaluate results In terms of distances the ball travels when hit. Hitting for the cage can give you the illusion of power because the ball smashes off stuff and looks like it was hit well, but the same hit in a field can die and fizz out. That’s the first thing to consider. You are using the terms ‘practice’, and ‘training’, and it’s vital to make the distinction between them. I know YOU know this, but your reader should be mindful of it if he’s to design and evaluate properly. TRAINING is when the player does things that are ‘outside’ what they do in a game. This involves exceeding the limits of what is done in their game swings, running etc. Examples of this would be running around the field, lifting weights, swinging heavy bats, cross-training, etc. PRACTICE is when you rehearse EXACTLY what you will do in a game, and how you will do it. If you keep those things separate you’ll be better off. Hey joey I was wonder does the front shoulder start the turn and pull the bat head through the hitting zone? Mell, the front shoulder starts the loading process. Turning the front ‘armpit’ down and in towards the back hip loads the body. The hips stays in neutral at this point. Just before landing the pelvis begins rotation, and the shoulders shortly follow. This loading and unloading of the torso is what brings the bat head through. Hey Joey, My son releases is back hand in the cage when he hits, tee, front toss, live BP, even when he does live BP on the field at a showcase, but every time he hits in a game and I mean every single time, he keeps both hands on the bat. I think his bat stays on the ball bath a little longer when he does this, but I told him last night just keep both hands on the bat in the cage if you are “not” going to do it in game AB’s. Is there a way to carry this over to a game you think or should he just hold on with both hands? What do you think? Bradley, I’d try and get him doing in the cage what he does in game at-bats. We want apples to apples training.